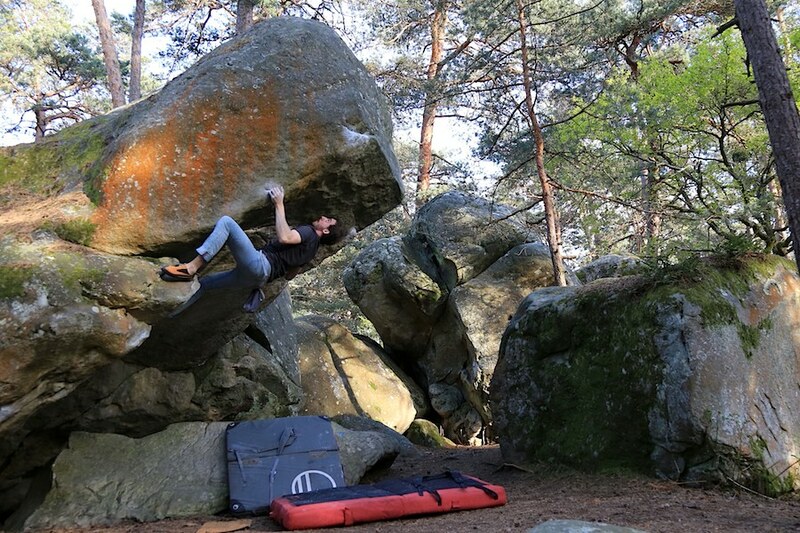 On the boulder marked "F", along the blue path n°12. Standing start to the left of Rêve de Pierre and mantle up above. When trying the problem a couple days ago we noticed that the right hand hold in the overhang was very loose. Be very prudent when trying the problem!!!!! !